The Blackbrn Iris was designed as a long range, ocean going aircraft to augment the coastal patrol services Supermarine Southamptons. 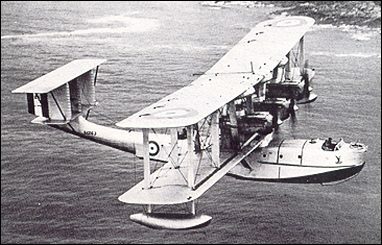 Only one squadron was equipped with Iris aircraft, first with the Mk.III which later, by modification, became the Mk.V, and ultimately with what might have been a later mark, but was designated “Perth”. The Armament of the Iris consisted of Lewis guns in bow and midship positions with a third one at the tail end of the hull which had only a limited arc of fire. In the bow position, a one pounder gun, made by the Coventry Ordnance Works and consequently known as the Cow gun, could be mounted, and was once every year for demonstration purposes. 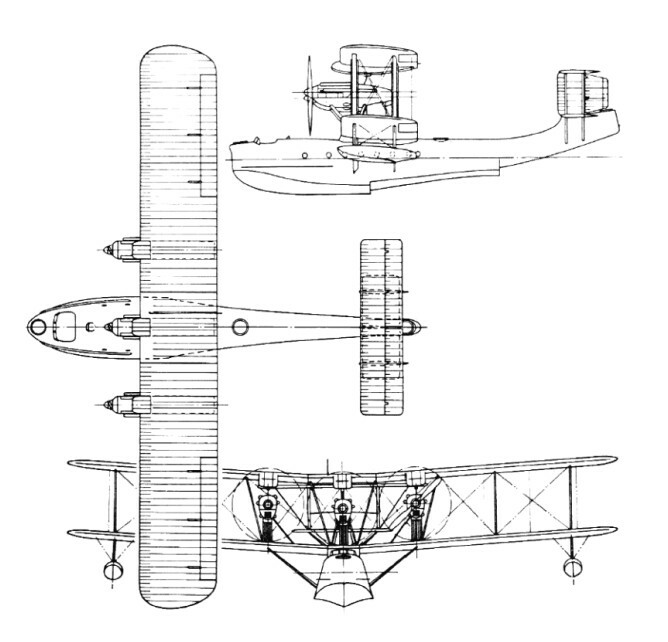 The five-seat Iris was a biplane flying-boat. The first of only eight built flew on 19 June 1926. The single Iris I, powered by three 484.4kW Rolls-Royce Condor III engines, was converted into the II with 503kW Condor IIIA. It was followed by four Iris III with 503kW Condor IIIB engines (entering service with the RAF in 1930); a single Mk IV (the first prototype with 596kW Armstrong Siddeley Leopard Ill, mounted as two tractors and one pusher); and three V with 615kW (825 hp) Rolls-Royce Buzzard IIMS engines. A III was also brought up to V standard and the luxury of a roof over the pilot's positions. No heating. Engines: 3 x Rolls-Royce Buzzard, 825 hp.